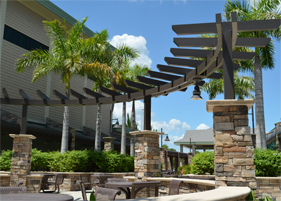 Choosing a finish for your commercial canopies or awnings may not be something that a lot of people consider when constructing a long term canopy solution. 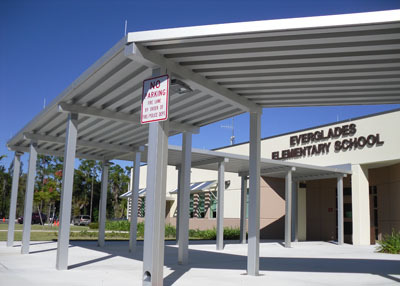 Depending on the project and requirements, aluminum canopies can have an anodized finish or a painted finish with a range of colors. Paint or a anodized coating is generally applied to aluminum to protect it from oxidation. Which is the process in which oxygen molecules come in contact with something, in this case aluminum, and creates aluminum oxide, similar to when iron rusts. Painted finishes are available in a wide range of colors and durability. Kynar painted finishes are among the most durable painted finishes and is designed to resist weather, aging and salt. 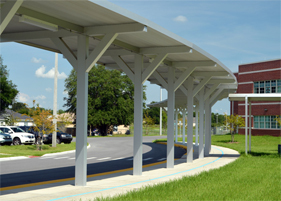 Painted finishes are especially resistant and are one of the best means of protecting your commercial canopies. At Perfection Architectural Systems, we offer a variety of products that are available in an assortment of finishes. Our finishes meet the requirements of any project, while offering you a range of anodized finishes and paint applications to best suit your canopy solution. 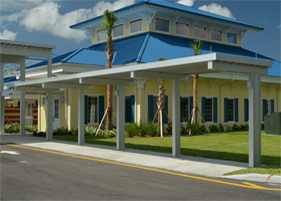 We construct high quality aluminum canopy solutions for every project while handling every task in a courteous and professional manner. 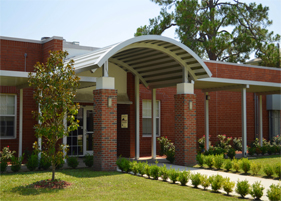 Call us at 407-671-6225 to learn more about our commercial canopies and aluminum awnings and to start your project today.